Lawrence Levin is founder and president of The Levin Group LLC. He specializes in working with leadership teams in global Fortune 100 to mid-sized organizations in planning strategic direction and implementing critical business initiatives. 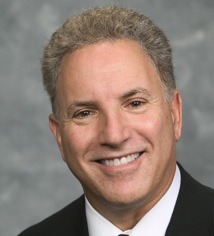 His job is to help organizations focus on understanding the dynamics and capabilities of their executive teams, utilizing team-based interventions, custom assessments and coaching techniques to improve their effectiveness. Dr. Levin typically works with smart and successful people and mission-critical leadership teams across a range of industries. He also specializes in accelerating significant change within complicated systems, such as businesses that have seen rapid growth, major technology changes or mergers and acquisitions which create complex corporate and cultural issues. His 25 years of consulting experience, coupled with his background in psychology, makes Levin a sought after team facilitator, executive coach and trusted advisor.